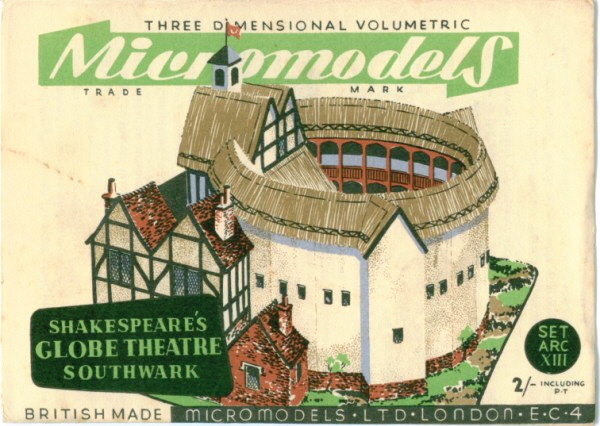 No significant stocks passed from Broadway Approvals to Watford Model Supply Co. in 1971. 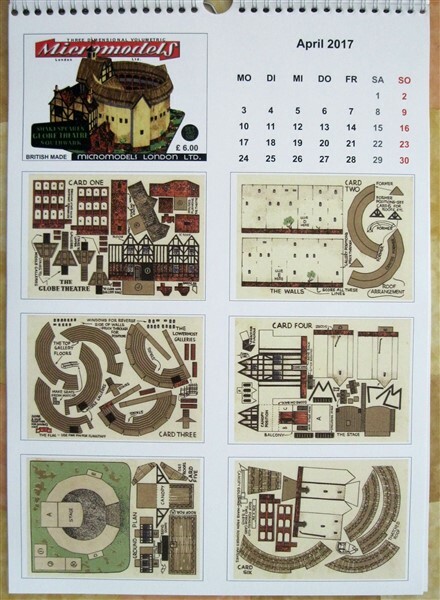 Autocraft and Micromodelle Heidelberg have published a model. 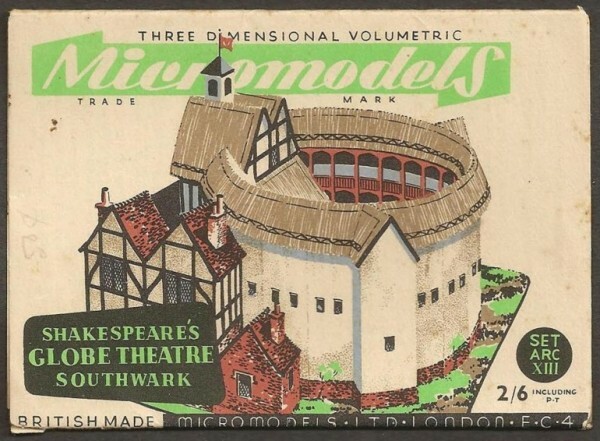 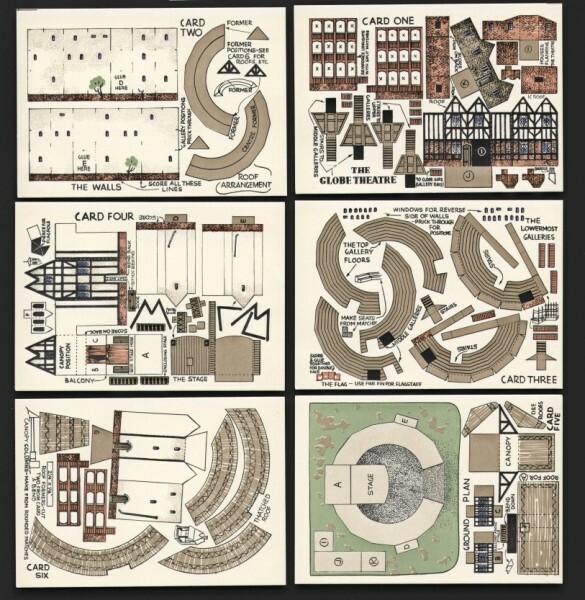 Micromodels London has designed a wrapper, and has the intention to publish the Globe Theatre in the near future. 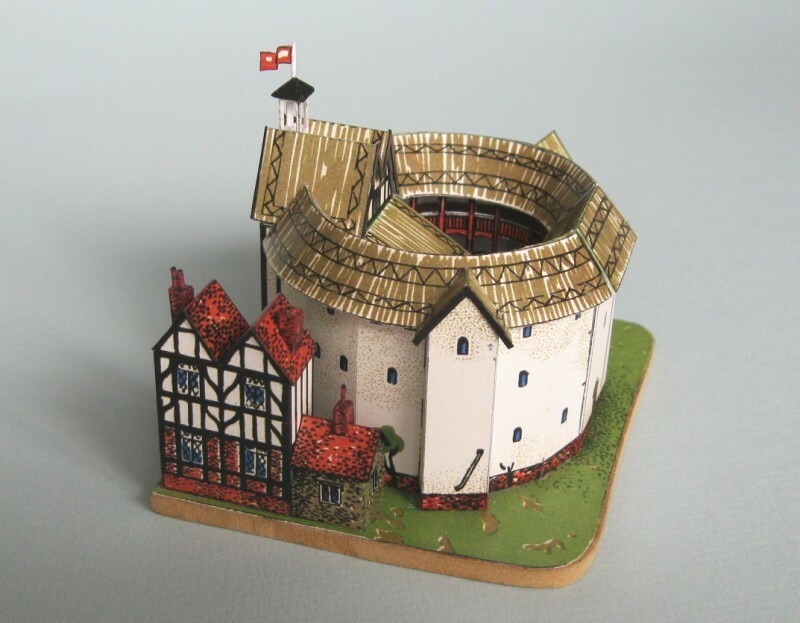 Micromodels London printed this model as part of their calendar 2017. 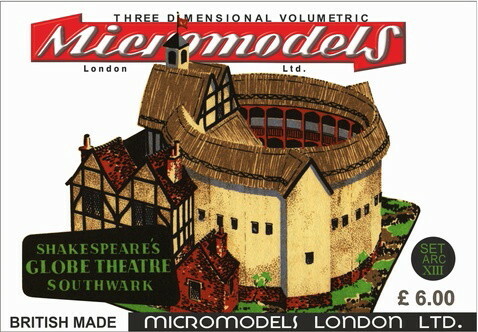 MicromodelsUSA has revised the model with benches, a revised entryway and a new roof. 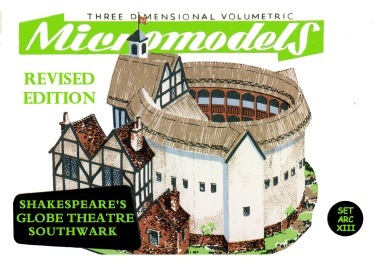 D.G.Models made an enlarged model and has drawn it with completely new artwork. 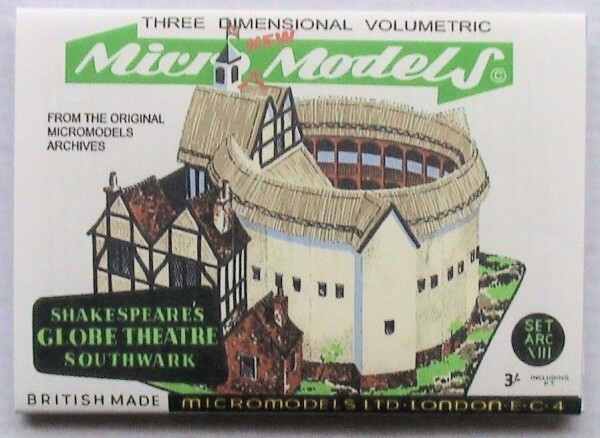 But with the familiar wrapper and instructions inside this wrapper. 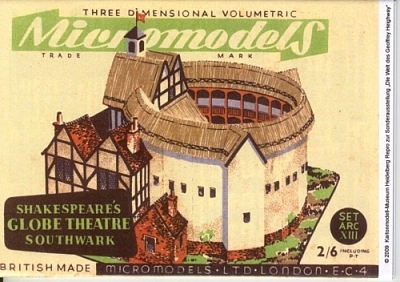 Early drawings of the model in the 1950 catalogue show a different layout than the final paper model. 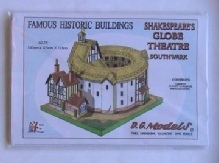 The old London theatre has been recreated as a working London theatre in 1997. 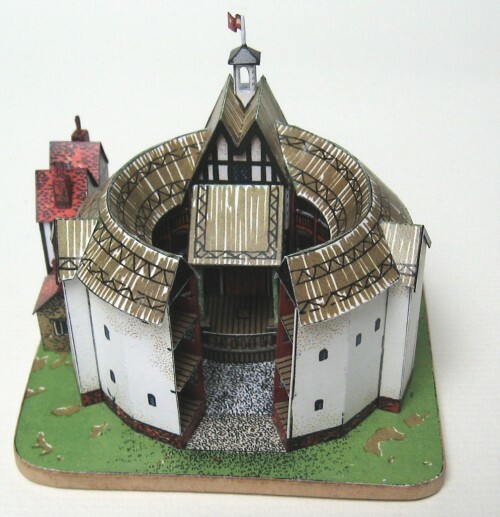 The original site of the Globe will probably never be excavated as it lies under a listed building. 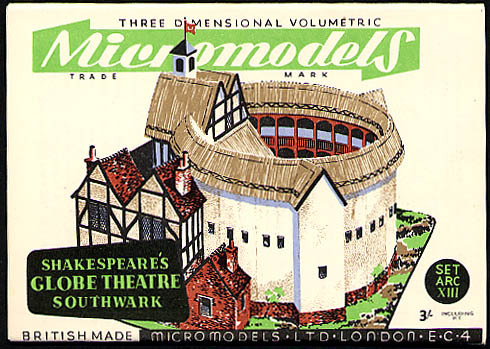 In 1989 one of the Globe’s sister theatres, The Rose, was excavated and revealed that the design of the Micromodel is essentially correct.